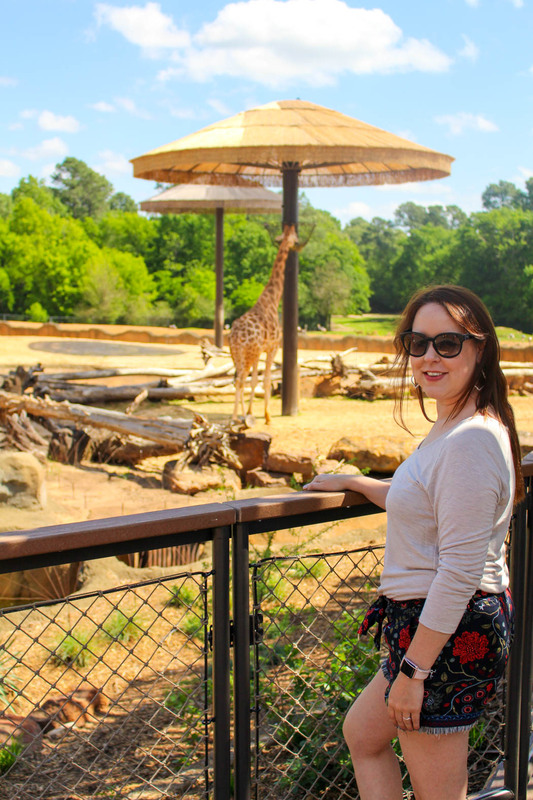 A few weeks ago we took a Sunday day-trip to the Caldwell Zoo in Tyler, Texas. 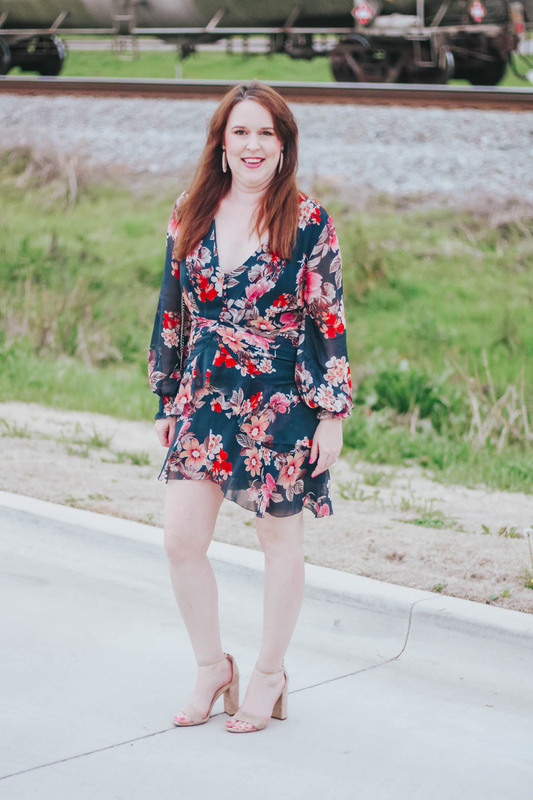 Tyler is only an hour & a half drive from our home in Shreveport, so it’s a really easy & fun trip to make in an afternoon. 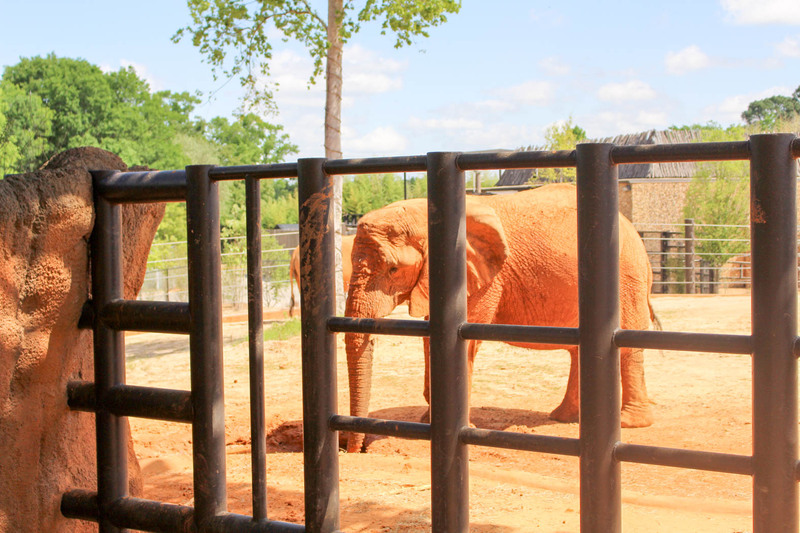 With 85 acres, 6 exhibit areas & over 3,400 animals, it’s an impressive facility for our area. 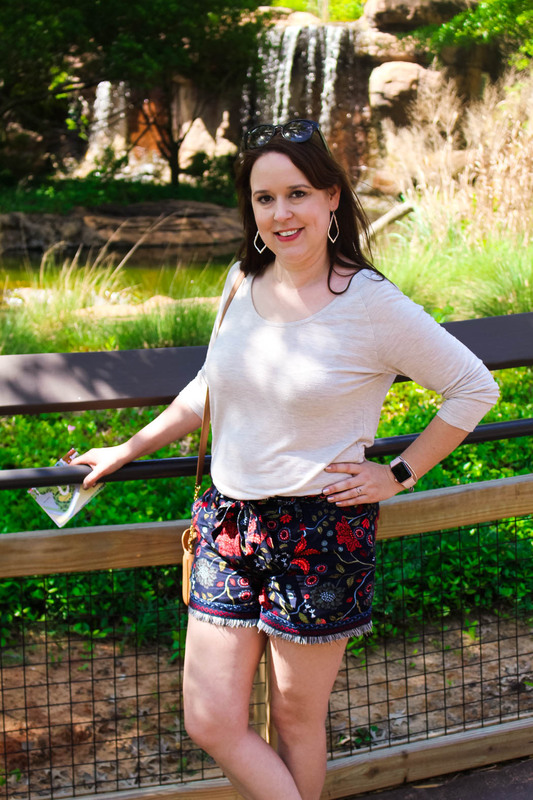 The zoo is beautiful, with winding paths, lots of shade, & carefully designed habitats. I took so many pictures (an obnoxious number), so I’m sharing a small portion & some of my favorite animals today! 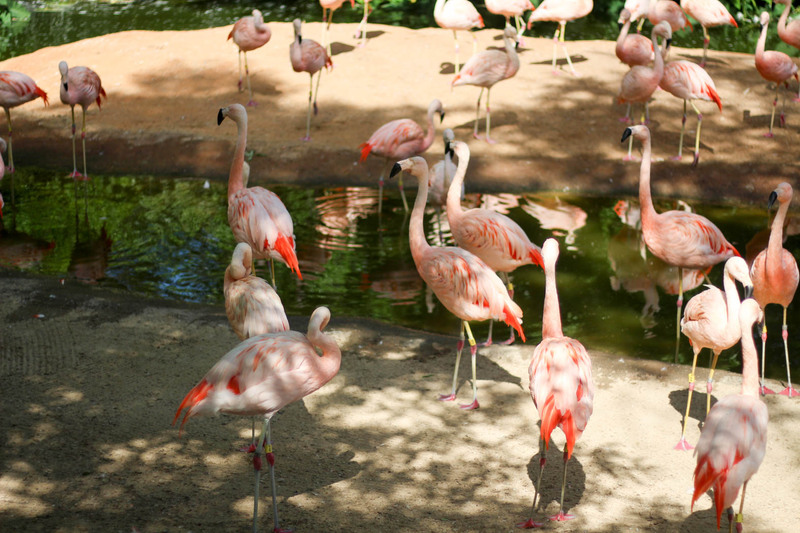 We began our tour in South America with my favorite animal – flamingos! We walked in & there they were, almost like they were waiting for me! 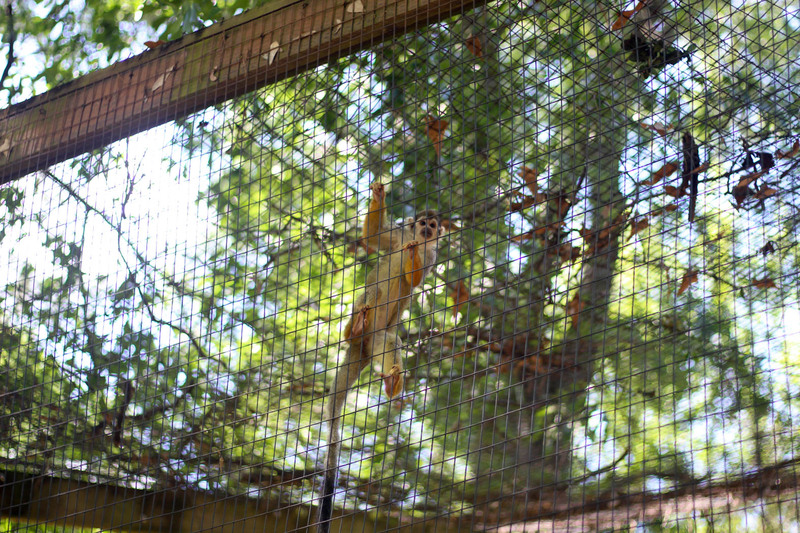 I could have spent all morning standing there watching, but the rest of the group was having none of it, so we moved on to the macaws, tamarins, giant anteaters, & squirrel monkeys. 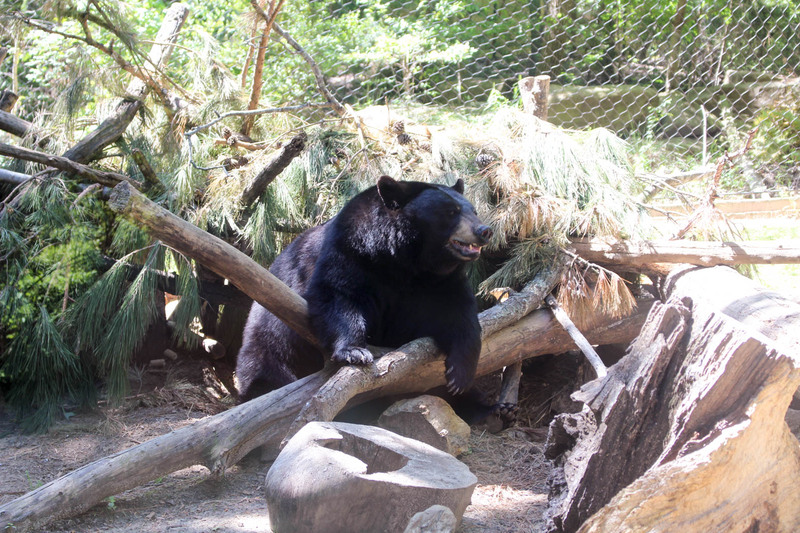 One of my favorite parts of the Caldwell Zoo is that their non-predator habitats are multi-animal enclosures, so they feel more natural. 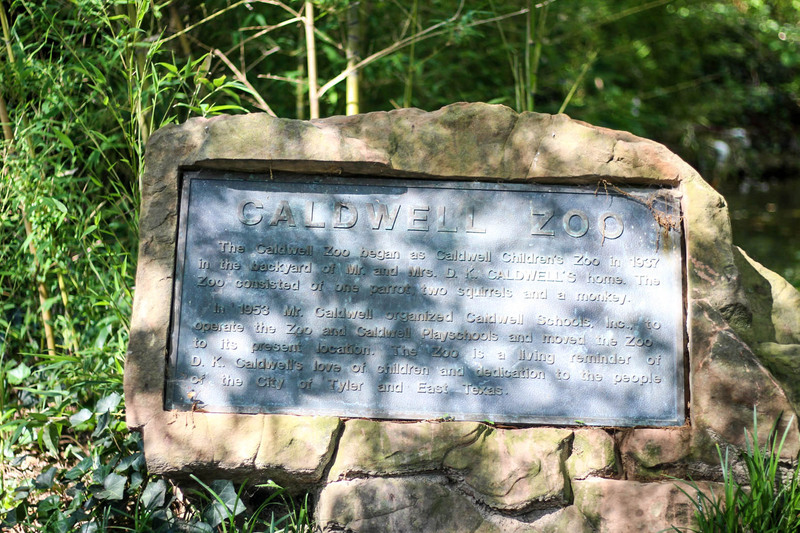 The Caldwell Zoo actively participates in conservation education & efforts. 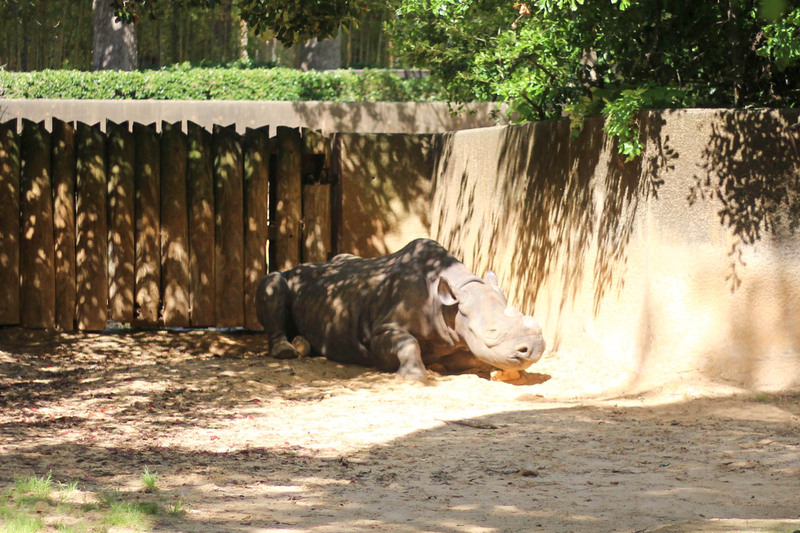 We saw numerous endangered & threatened species during our visit, including this black rhinoceros. The black rhinoceros is critically endangered due to habitat destruction & poaching for their horns. 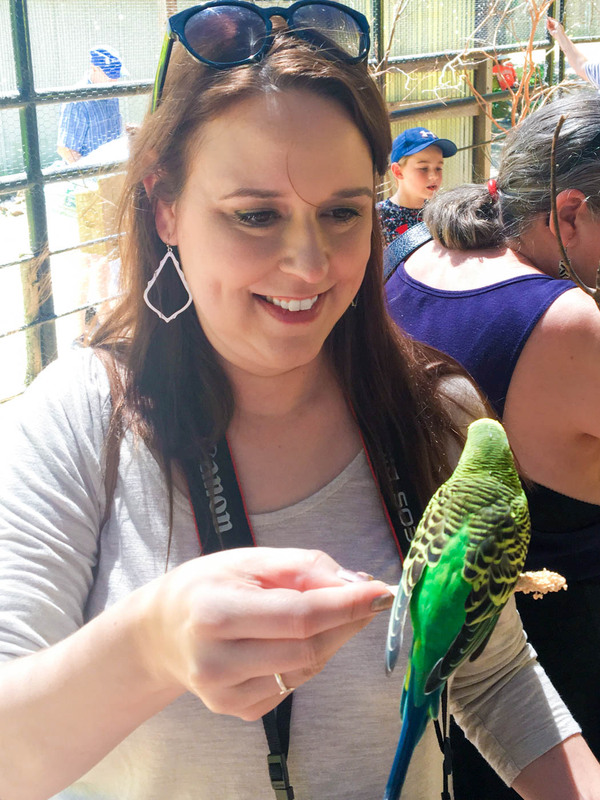 Members of the Association of Zoos and Aquariums, like the Caldwell Zoo, participate in Species Survival Plans & breeding programs to help ensure their survival. As we wound our way toward the East African area, we passed another flock of Chilean flamingos. 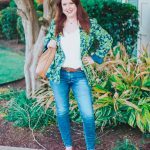 I had to stop again & these guys were ready to show off! They were so vocal & moving together in a close flock almost like a dance! Then it was on to the African Savanna, where we got up close & personal with this beauty! We each got to take a turn feeding her some lettuce. 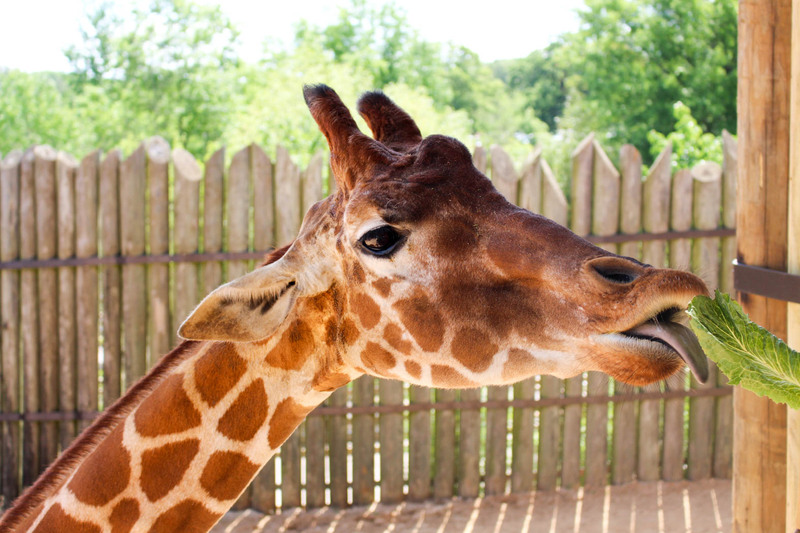 It was such a cool experience to be so close (up on a tall platform) to such an amazing animal! I just wanted to reach out & pet her, but the zoo frowns on that so I had to resist. The platform is open to all guests & a stack of lettuce is only $5, so anyone can have the opportunity. 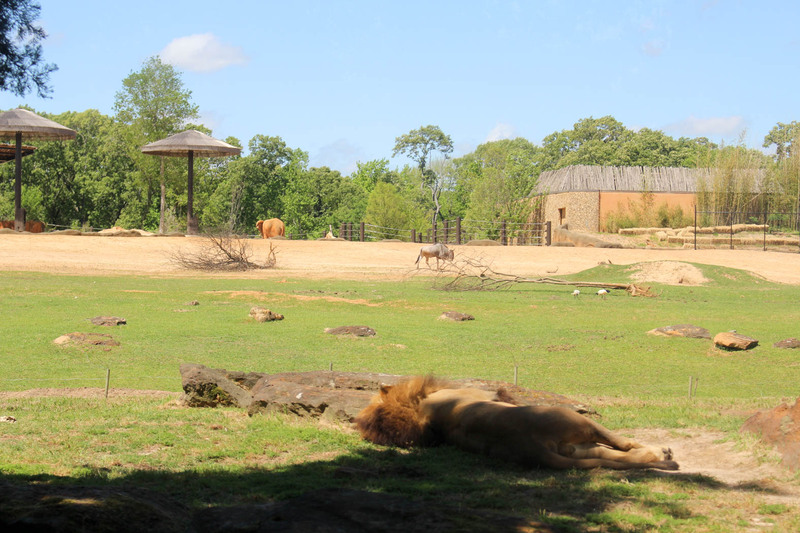 The 3-acre savanna habitat is designed to mimic the open plain, keeping the animals separated with minimal visual interference. From this viewpoint, it looked like the African lion could take off at any moment! Giraffes, elephants, kudu, impala, & gazelles grazed just across an unseen barrier from the lion pride. 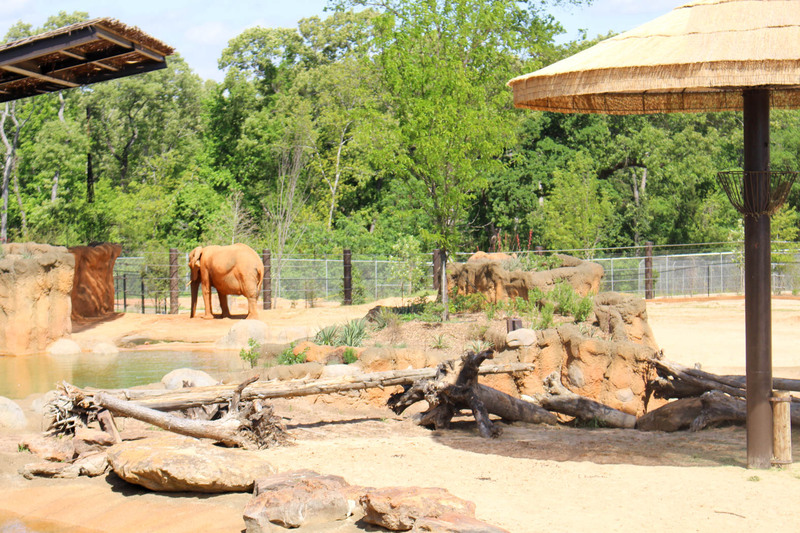 There’s a covered overlook, where you can stop for a snack, or just to sit & watch the animals interact. Moving away from the savanna, we passed the cheetah habitat, but he was napping somewhere in the brush so we didn’t get a peek. We did get to watch the meerkats & they were so cute! 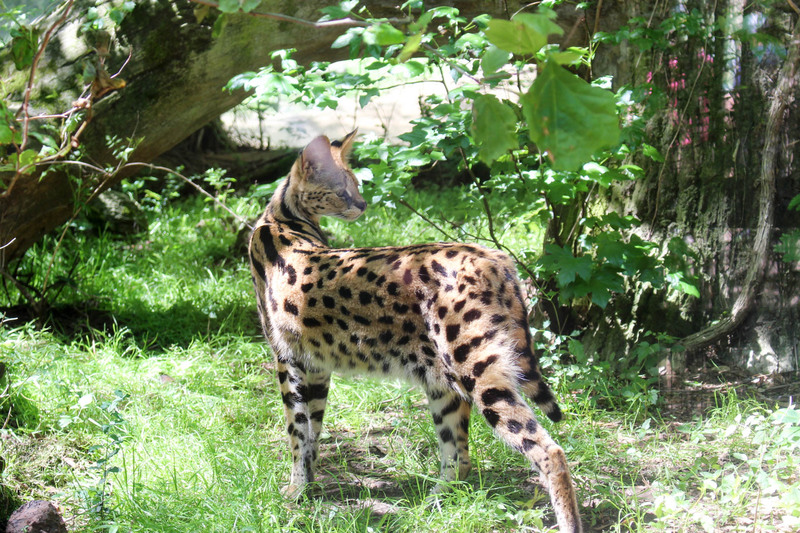 Ok, isn’t this African serval beautiful?!? She came up to the glass to investigate me & we instantly had a connection – just go with me here. She definitely wanted to come home with me. 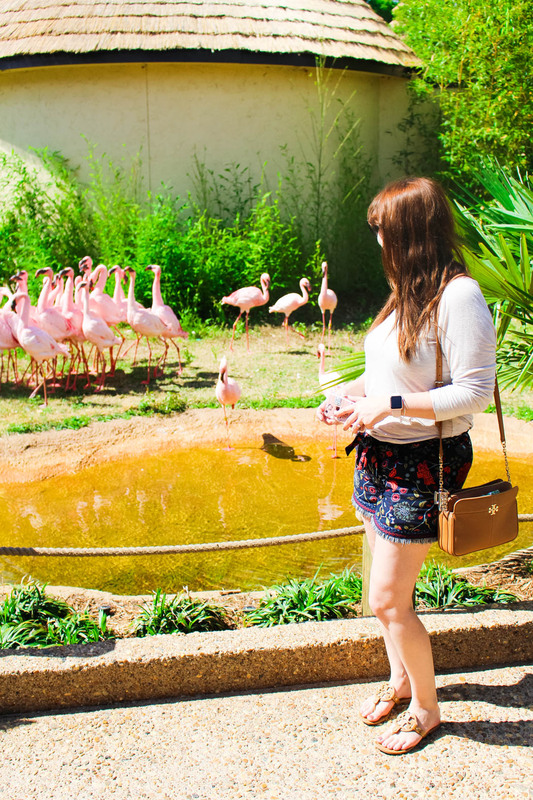 I wonder if she & Cat would have gotten along… At any rate, I think that I spent just as long watching her stroll around as I did the flamingos, but it gave everyone else a chance to relax in the shade. 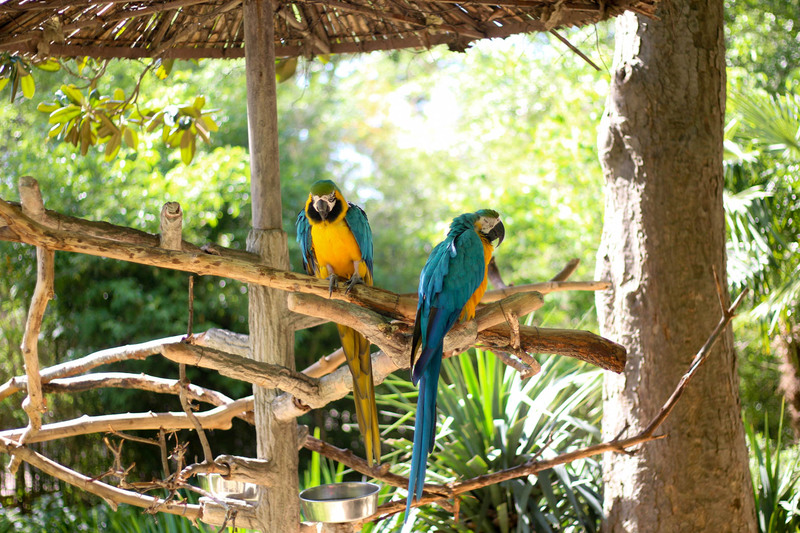 After the savanna, we explored the African Aquarium & the free flight aviary. 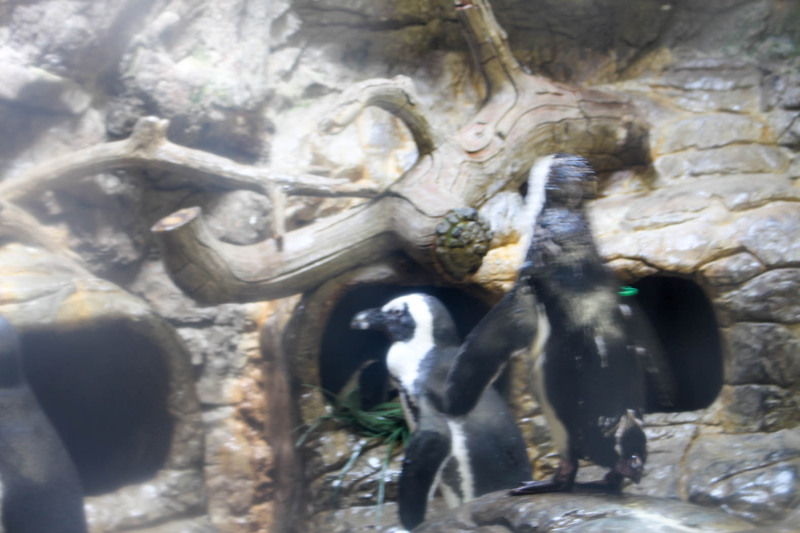 The lighting in the aquarium wasn’t stellar, so my pictures of the black-footed penguins didn’t come out very well. There was also a large tank with tons of fish, a rock hyrax (which looked kind of like a nutria to me), & free flying birds. In the separate aviary, hundreds of parakeets & cockatiels fly around you & perch in trees. You can ply them with feed sticks to land on & some are quite friendly! It was fun to see the small kids interacting with the birds, lighting up when one of the birds landed on their feed sticks! We skipped the North American herpetarium due to my uncontrolled fear of snakes, but finished out the rest of the North American habitats. This was the first time I’d seen a black bear. 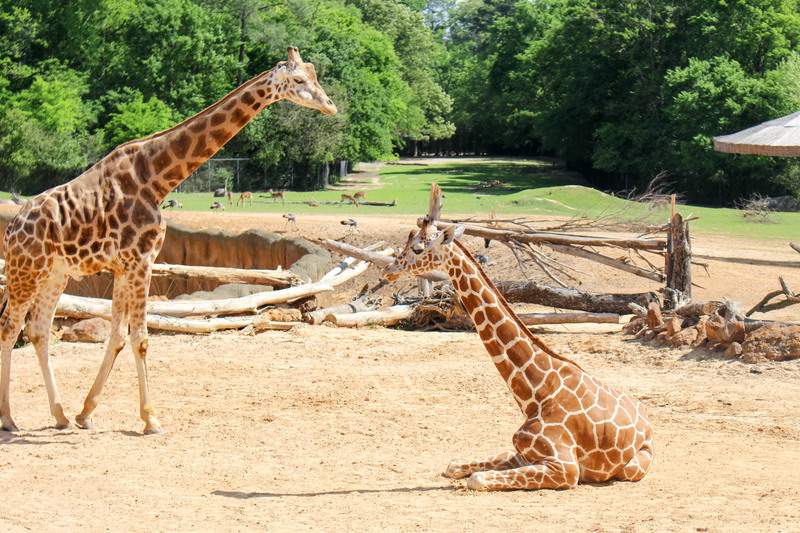 The brother & sister pair were a lot larger than I’d expected & were lounging around for their mid-day naps. 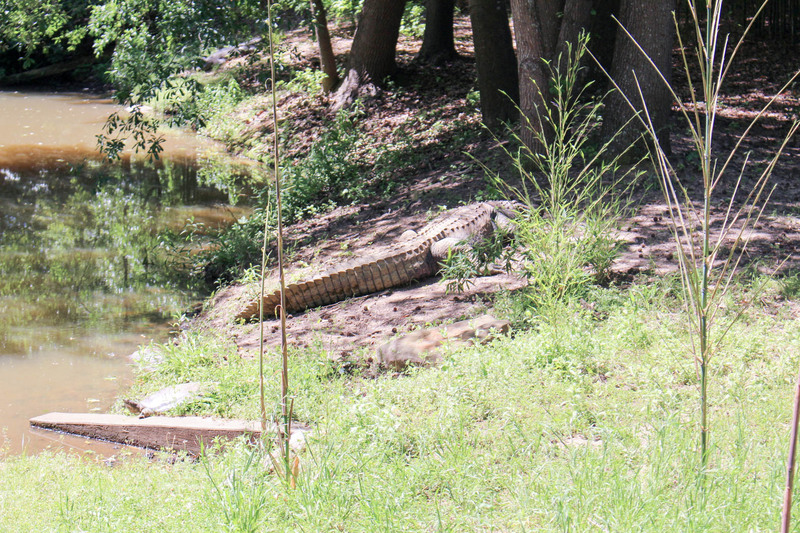 And what North American section would be complete without the American alligator? 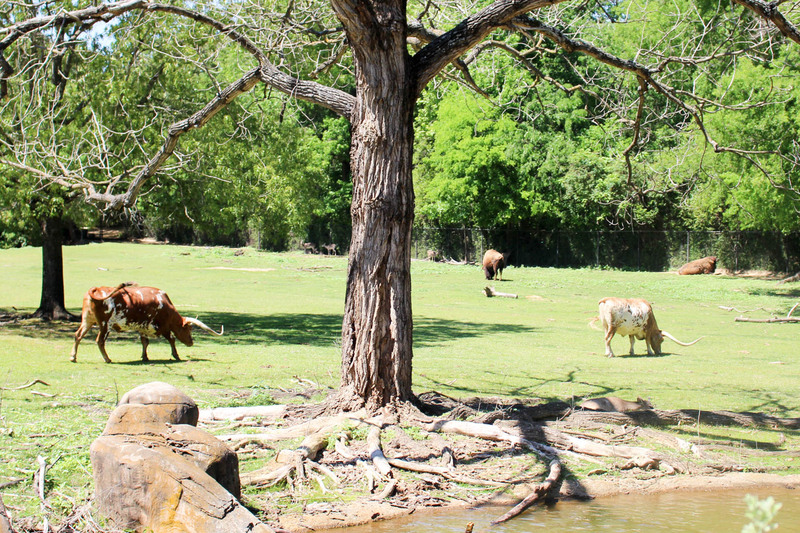 Another open habitat is the North American plain, with white-tailed deer, American bison, Texas longhorns and wild turkeys roaming near a pond stocked with fish, turtles, & waterfowl. It was mid-day by the time we made it to the North American area, so most of the larger cats, like the mountain lion & white tigers (not native to North America), were fast asleep. 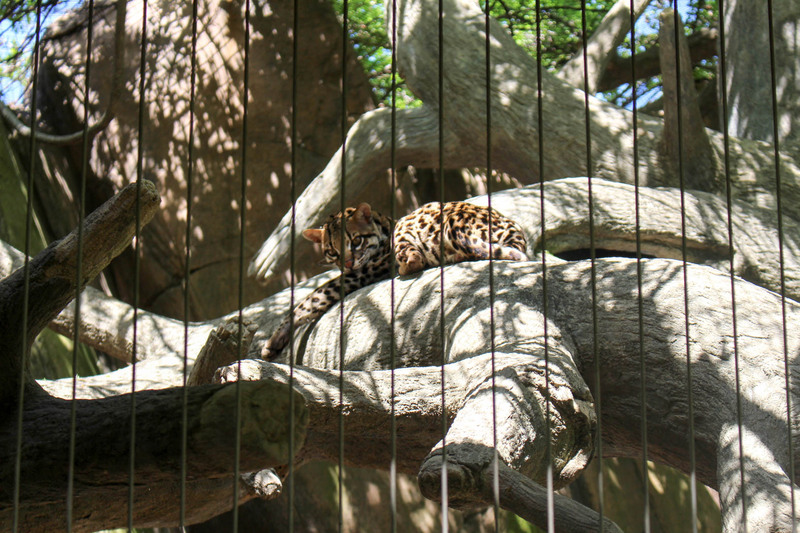 But this little ocelot was awake & quite interested in us. Our last stop was to watch the river otters play before we made our way home. 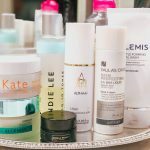 All in all, a great way to spend a Sunday!